Israel is the big Satan according to Iran, the U.S. is not far behind as the "little Satan". Yet, our sworn enemy will receive another payment of $550,000,000 today from the United States government, but really it is from Obama and Kerry. This is their brainchild. This half a billion is only a pittance of the actual amount that could grow to as much as, are you ready for this? Twenty Billion Dollars. And oh yeah, they have just announced they are furthering their military and weapons systems upgrade . This is what happens when a foreigner, a usurper, illegally takes the office of President, protected by a corrupt (and communist) Congress and a complicit and liberal infested media. When will American's wake up and decide they have had enough? When Iran finishes making nuclear warheads and fires them upon Israel and into the stratosphere above America, also known as an EMP attack? Can anyone see the insanity of this? 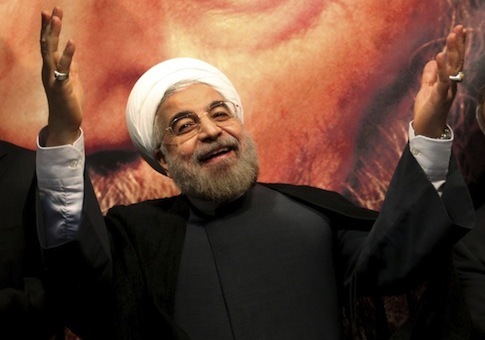 Iran is scheduled to receive another $550 million in unfrozen assets from the Obama administration on Friday, just days after Tehran unveiled a slew of new weapons and advanced ballistic missiles. Iranian banking authorities on Wednesday confirmed that another $550 million is now on its way to Tehran under the interim nuclear accord inked last year with the United States and other Western nations. The United States has agreed to unfreeze a total of $4.2 billion in Iranian oil assets over the next several months. Experts have warned that because the money is being given to Iran with no strings attached it could go to fund terror-related activities or even Iran’s nuclear program. The latest cash delivery comes as Tehran unveils a slew of advanced weapons, including ballistic missiles capable of “precision targeting.” Iran was also caught smuggling a shipment of weapons to Palestinian terrorists in the Gaza Strip on Wednesday. Iran’s Defense Minister announced on Wednesday that the military had made great progress in approving the accuracy of its ballistic missile guidance system, which Tehran views as a deterrence to the U.S. and Israeli militaries. “The guidance systems of (the missiles delivered to the IRGC) today enjoy the capability of striking the targets with full precision, and they have a margin of error below five meters,” Brigadier General Hossein Dehqan announced, according to Iran’s Fars News Agency. Dehqan’s comment came during a ceremony marking the “mass delivery” to Iran of several different types of ballistic missiles and an air defense system. These ballistic missiles are now being coupled with a new radar system that can “evade enemy radar systems, leaving the [hostile] forces unable to trace or intercept them,” according to Fars. Iran’s ongoing ballistic missile program has become a sticking point in negotiations with the West. Iran continues to test these missiles, which are capable of carrying a nuclear warhead, despite sanctions aimed at preventing such a buildup. Iranian officials have referred to the ballistic missile program as a “red line” in talks with the West. The White House has vowed to push the issue, though it remains unclear just how much progress has been made on this front. It is also unclear how Iran’s thwarted weapons shipment to Gaza will impact negotiations. Many of the Gaza-bound missiles can be fired over a 100-mile distance, placing a majority of Israel at risk. As sanctions on Iran continue to be relaxed under the interim accord, Iran will likely have an easier time funding such military programs. Iranian oil exports, for instance, have steadily risen during the past few months. The total amount of sanctions relief could actually top $20 billion, according to some experts, who have pointed out that the White House’s figure of around $7 billion does not account for profits made over the next several months from oil sales. Iran is scheduled to receive additional cash installments in April, May, June, and July.